Looking for weheartit / tumblr style image of skinny palm tree silhouettes against a pink and purple sky, with some clouds. 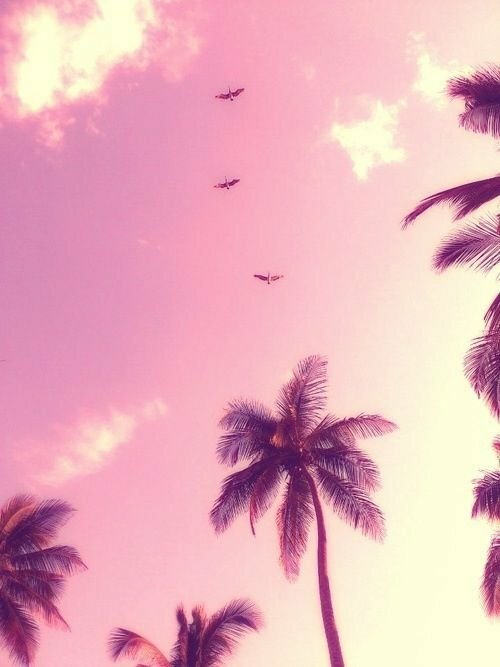 Photos should have that soft, weheartit/tumblr vibe. Please see examples attached. 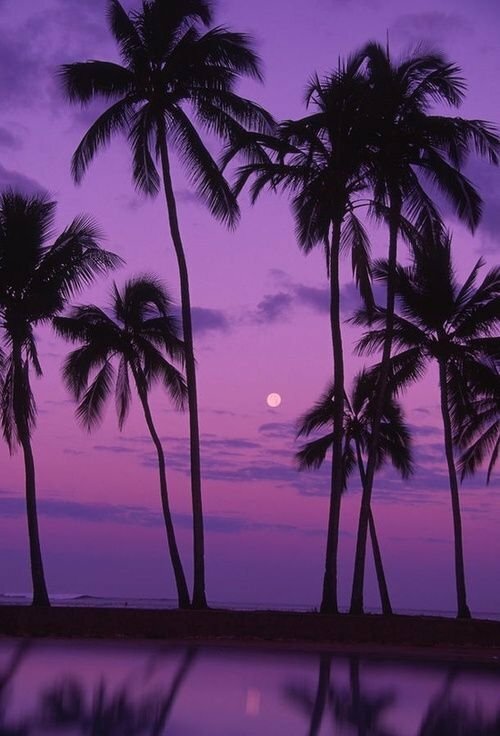 Looking for a good distribution of palm trees within the picture (at least 3 or more) Nice mix of pink, purples and a few clouds in the sky. Photo will only be used for the background of some hand-painted typography for my graphic design portfolio, and a poster for my house.